High school basketball players, managers, and cheerleaders in the 7th-12th grades were recognized for their achievements on March 11th. The two top awards went to the senior boy and girl team members for their all around athletic skills, academic achievements, and community service. 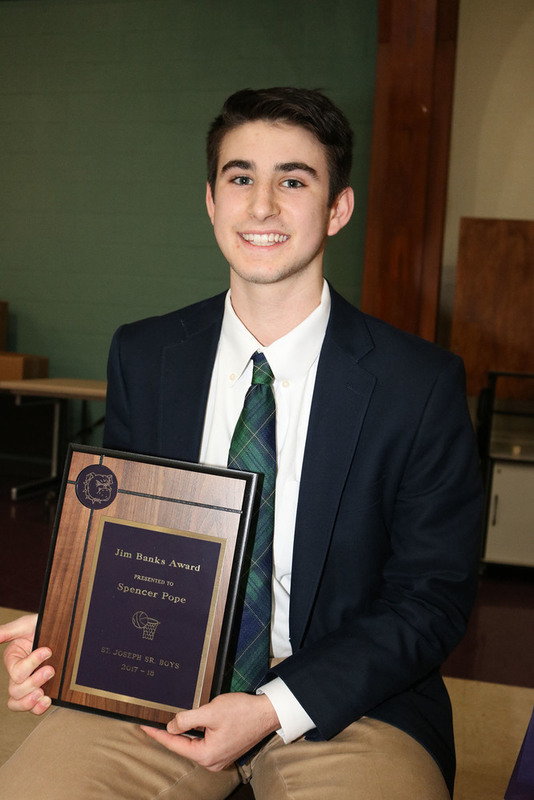 Spencer Pope received the Jim Banks Award which is named in honor of St. Joseph's first basketball coach who began the program in 1952.